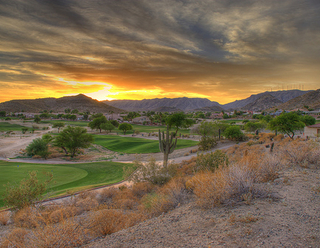 Phoenix, Ariz. – Ahwatukee Golf Properties recently announced the acquisition of The Foothills Golf Club. This latest acquisition marks the fifth facility the group owns and operates in the Ahwatukee-area of Phoenix. Designed by the internationally acclaimed duo of Tom Weiskopf and Jay Morrish, The Foothills Golf Club boasts a par 72 championship golf course that offers desert style golf in a setting that is accented by rolling fairways, 65 strategically placed bunkers set against a rocky desert terrain. Past accolades of Foothills include receiving four stars in Golf Digest, best places you can play listing. Other area clubs owned by Ahwatukee Golf Properties include the neighboring Club West Golf Club, along with Ahwatukee Country Club, Ahwatukee Lakes and the Duke Golf Club. “We are very pleased and excited to add Foothills to our portfolio of courses,” stated Terry Duggan, president of Ahwatukee Golf Properties. “We have been strategic in our acquisitions to purchase golf courses that are within close proximity to each other. This provides us with efficiencies from an operations standpoint and also provides us some marketing advantages for our members and Gold Cardholders,” added Duggan. Ahwatukee Golf Properties’ popular Gold Card program will be expanded to include The Foothills Golf Club. The Gold Card offers frequent players of Ahwatukee’s courses preferred rates throughout the year in addition to other money saving benefits such as guest rounds at preferred guest rates, golf shop discounts, and through a marketing partnership with Scottsdale-based OB Sports, Gold Cardholders receive traveling rates to play OB Sports-managed courses at preferred rates. The Foothills Golf Club is located in a secluded part of Phoenix, tucked behind the ridges and buttes of South Mountain. Foothills also features a complete practice facility and an expansive clubhouse that offers panoramic views of the course and surrounding.